Gregg Hanson was born in 1947 in Chicago, Illinois. He enlisted in the Air Force Reserve on July 17, 1969, and entered Officer Training School on October 24, 1969, receiving his commission as a 2d Lt in the U.S. Air Force on January 23, 1970. Lt Hanson next completed Undergraduate Pilot Training and was awarded his pilot wings at Williams AFB, Arizona, in February 1971, and then completed F-4 Phantom II Combat Crew Training in September 1971. 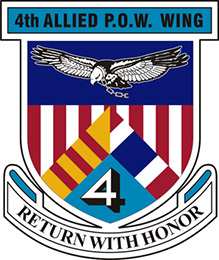 His first assignment was as an F-4 pilot with the 555th Tactical Fighter Squadron at Udorn Royal Thai AFB, Thailand, from November 1971 until he was forced to eject over North Vietnam and was taken as a Prisoner of War on June 13, 1972. After spending 289 days in captivity, Capt Hanson was released during Operation Homecoming on March 28, 1973. He was briefly hospitalized to recover from his injuries at March AFB, California, and left active duty on July 1, 1973. 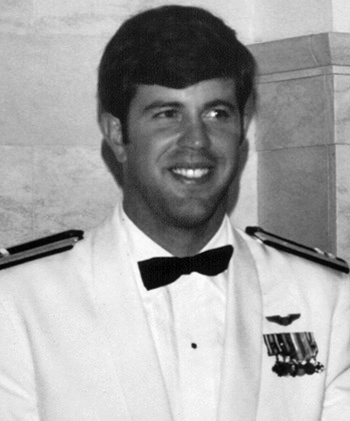 First Lieutenant Gregg O. Hanson distinguished himself by extraordinary achievement while participating in aerial flight as a F-4D Aircraft Commander over hostile territory on 22 April 1972. On that date, Lieutenant Hanson led a flight of F-4D Tactical Fighters against a heavily defended truck park and storage area. Despite marginal weather and heavy antiaircraft artillery fire, Lieutenant Hanson's outstanding airmanship and initiative were directly responsible for the complete destruction of the target complex, thereby seriously hindering the efforts of hostile forces to resupply their troops. 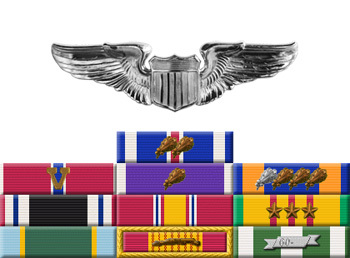 The professional competence, aerial skill, and devotion to duty displayed by Lieutenant Hanson reflect great credit upon himself and the United States Air Force.